Localization in .NET doesn’t seem to solve a lot of problem in theory but I get no luck to get it work, although I built a custom Culture and having the resource file embedded in the assembly it just WON’T WORK ! After look around for solution I decided to give up and cheat a bit building localization engine from scratch is not too difficult but I tend not to spend my time on this yet. by faking treat fr-FR == km-KH and that work ! 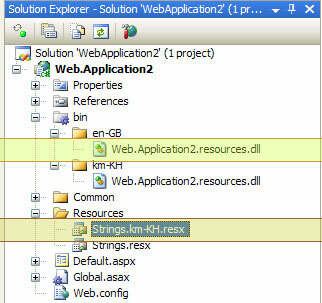 In my previous post “.Net 2.0 App_GlobalResources within VS.NET 2008” I was successfully manipulate string stored in satellite assembly that was the isolation test to make sure that thing work. BUT nope I got nothing in return I verify the satellite assembly through Reflection nothing different. So what the heck is going on ??? It is very interesting early on this week the HR’s guy come to my desk and told me he no longer be able to upload job’s annoucement attachment file ??! I said woh woh what you said? because we hosted the app and he successfully uploaded files many times. After confirm that was the problem I run through the net to find what cause the problem why it just occur now? Well it must be something change along the windows update anyway I solved the problem and now the app back to it normal operation. But I am glad to see the topic of File Upload has been digged up again let un-DRY it shall we? 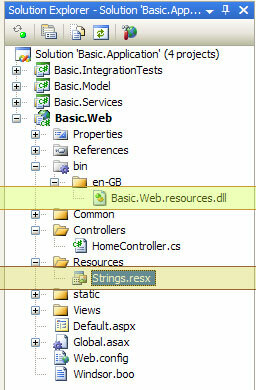 A Back To Basics Case Study: Implementing HTTP File Upload with ASP.NET MVC including Tests and Mocks – from ASP.NET MVC lead post by Scott Hanselman.